Spend a weekend at the Inn and take in a race at Lime Rock Park, located just a short drive up the road from the Inn. There are events almost every weekend, and club races during the week. Click below for a full schedule of events. 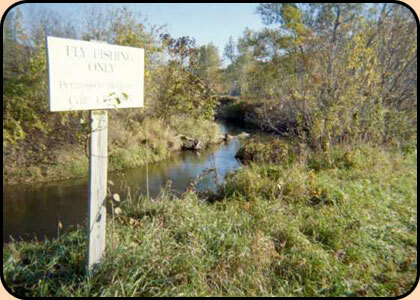 For the fly fisherman, several fishing shops are located in Cornwall Bridge near Housatonic State Park approximately 10 miles south on Route 7. All the equipment you need to go fly fishing, as well as guides and river tours, are available. Click on the link below to learn more. Inn guests who are music lovers have three splendid venues nearby: Music Mountain; Yale Summer School of Music; and Tanglewood. Offering musical events ranging from string quartets to jazz concerts, Music Mountain is right next door, only a mile from the Inn. Click below for a full schedule of events or write for a brochure to Music Mountain, Post Office Box 738, Lakeville, Connecticut 06039. If you love chamber music, the Yale Summer School of Music is the place to spend an evening. Located 10 miles north in a lovely setting on the Ellen Battell Stoeckell estate in in Norfolk, call (860) 542-3000 or go to their web site below for schedules and details. Beautiful Tanglewood, home of the annual Tanglewood Music Festival and the Tanglewood Jazz Festival, and the summer home of the Boston Symphony Orchestra since 1937, is located twenty miles north on Route 7 in Lenox, Massachusetts. Click on their link to find out what is happening on the weekend you plan to be here. For theatre goers, enjoy an evening of superb drama or comedy at the Sharon Playhouse, the summer stock theater under the supervision of TriArts. Recent productions have included Steel Magnolias; My Fair Lady; Joseph and the Amazing Technicolor Dreamcoat. You can check out the schedule at their web site below, or call (860) 364-SHOW. Check the weather before making plans!